“KD Land” was quite busy lately. Sorry for being MIA the last couple of weeks months… life gets in the way sometimes and this little blog gets zero attention while I recover from the madness of my work and social schedules. 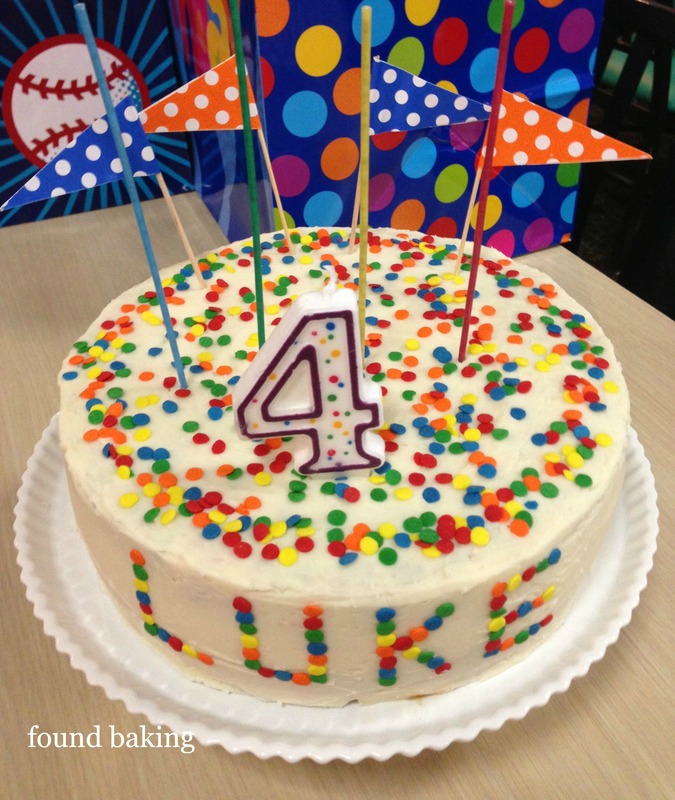 So while I was away… I made a Funfetti Cake for my nephew’s 4th birthday. I used Baking Illustrated’s Classic White Layer Cake with good ol’ vanilla buttercream frosting and raspberry jam as filling. The cake obviously exploded with rainbow sprinkles inside and out. 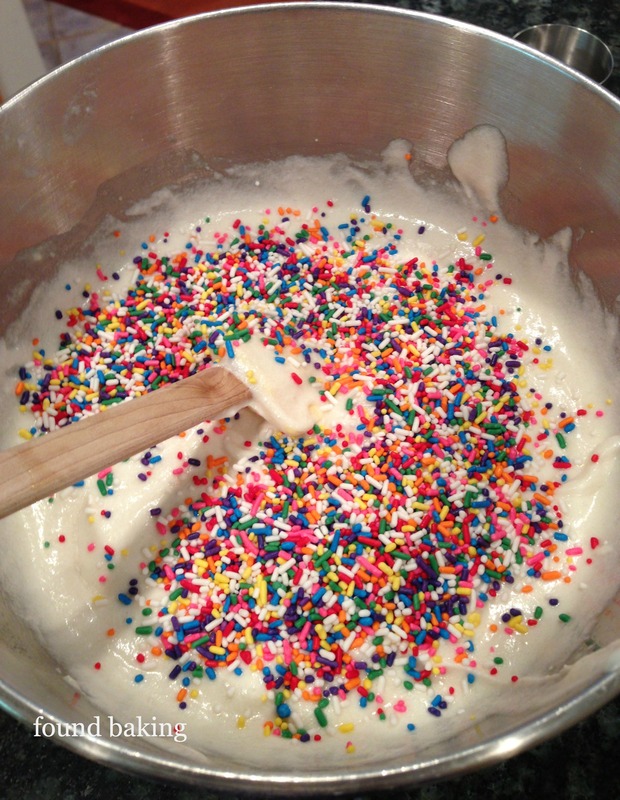 I used rainbow jimmies for the inside of the cake and opted for round sprinkles on the outside. Fiesta! 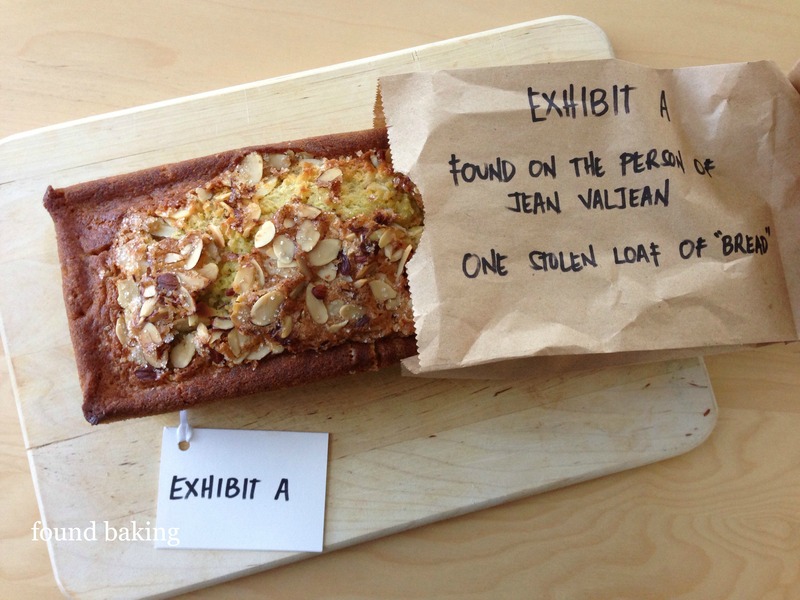 For an Oscar’s party I attended, I made a Les Miserables-inspired dessert using the “stolen loaf of bread” concept: Citrus Almond Olive Oil Loaf (shout out to my friend Rebekah for the idea). This recipe is from The Seasonal Baker by John Baricelli. This “bread” is so delicious, so moist, so citrusy, and so goooooooood. Definitely becoming my go-to quickbread to make lately. I also made a glorious Coconut Cake by Rose Levy Berenbaum (from Rose’s Heavenly Cakes)… but I don’t have a decent photo to share here. Ha! This spring, I’ll do my best to keep up a bit more with the frequency of the posts. 😉 There are a couple of recipes I’ve been meaning to try.